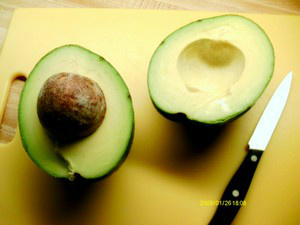 Avocados are super healthy and pretty on the plate. 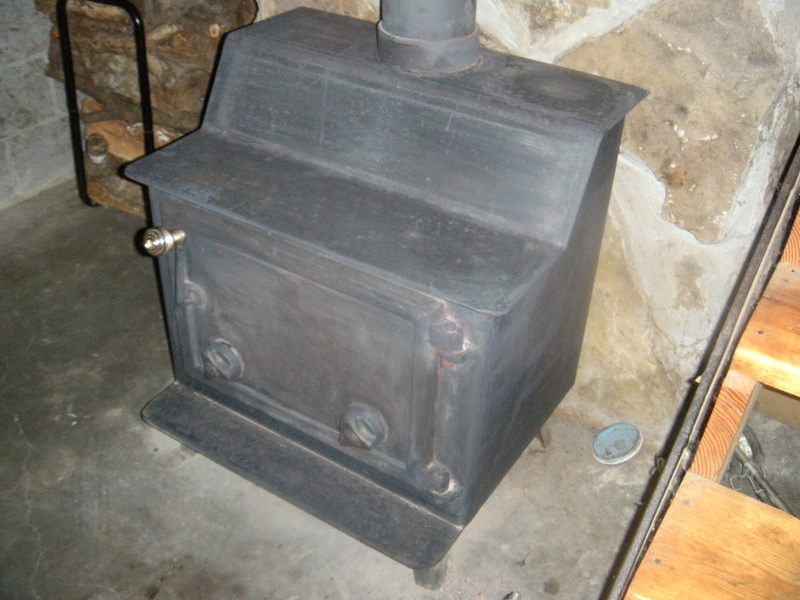 My old, handmade woodstove. Easy to cook on and heats the house beautifully. Wild Yard Weed Salad. Once you know what's safe and available, you can yard dine. Open pit cooking setup. This unit has a grill, place for larger grill for pots, a rotisserie, and five-hook bar for hanging pots. What is "food"? -- Surprise! How do you purchase your food? What if there is NO FOOD? Oh my, what would you eat? Here's the surprise: Not everything we put in our bodies is food. Seriously. Most of the stuff in the grocery stores today is not food. It is highly process, "enriched," and chemical laden whatever. If you don't believe me, just read the ingredients. (NOT the Supplement Facts List--see info on this topic). Here's one way to figure out what is in your "food." In a search mode, type in the name of the item like high fructose corn syrup, GMO corn, nitrites, nitrates, transfats, aspartame, colorings, MSG (by many names) soy products, cellulose and then add the words "dangers of." This is just a few of the 100s if not 1,000s of additives. Doing research on your food might just save your life or lives of others in your home. Also, when I come across the words "artificial flavoring," "natural flavors," and the like, I contact the company to see what it is. If they tell you it is proprietary, then you have the option to tell them you won't be buying their product. If you don't know what is in the product, you should consider that it could be very harmful or something you do not intend to eat. Today, things are not what they seem. It is a good idea to be a wise shopper. Here's another surprise: Meat glue or transglutaminase. Ever wonder how they got certain meats to look like the real thing like turkey bacon, reconstructed turkey and chicken breasts, roasts, cold cuts. Hey, if you want to know more you can do a search for videos and documentation on meat glue. Scary! Really scary!! And yet, another surprise: Not all foods that some folks eat are considered food in the Bible. Our Creator Yeshua/Jesus put a limit on things that are edible and things that are not. (See my separate teaching on this and the video link below) A thorough reading of Exodus 11 and Deuteronomy 14 will reveal the specifics. The Creator did this to keep us from eating disgusting critters that were meant to clean up the earth of dead and germ-laden things. Some animals are just not clean and we are told DO NOT eat them. If we do, our lives will be unhealthy and possibly not very lengthy. Some of these things that are not food are: swine (pork), rabbit, dog, cat, horse, insects, shrimp, snakes, lobster, oysters, squid, clams and others. The Scriptures in the Brit Chadesha (what is commonly called the New Testament) that some people point to in defense of eating unclean things is not talking about "food." The Creator is not double-minded. He does not tell us to do something one minute and change His Law the next. He tells us in many places in Scripture that He does not change. To make it EASY, I direct you to the video below-- "Are All Things Clean?" by 119ministries. I think you will truly enjoy this short 10-minute teaching. 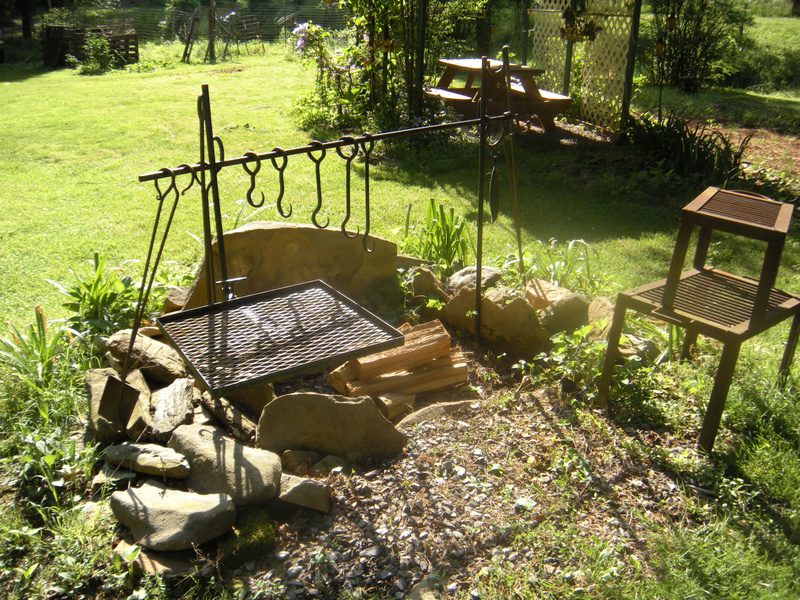 You also have the option of using an outdoor fire pit (see slideshow), a woodstove (see slideshow), a hearth, BBQ grill (one that uses wood is great) and many other such items. It is a good idea to familiarize yourself with other methods of cooking. If you lose power or don't have any propane, you might be eating uncooked meals. Alternative cooking methods, knowing how to use them and having recipes that make it easier could be an essential in the near future. Please take my advice seriously. My family and I have been through hurricanes, floods, tornadoes, ice storms, blizzards and earthquakes. Many of these have left us without electricity or propane for several weeks. Another good idea--know how to start a fire without matches. Bulk buying through food co-ops. You can find these online. I have shopped with many of these throughout the years, UNFI and BreadBeckers being two of my favorites. The savings has been incredible, especially since I had a large family. Some folks might say they can't afford to buy bulk. Well, in the long run, I believe you can. When you consider the price of a small 1 lb. package of brown rice and then buy 50 lbs of it, you will see that the savings is much more than half of the grocery store small bag. Depending on your location, you should be able to find bulk buying co-ops for packaged foods (watch labels! 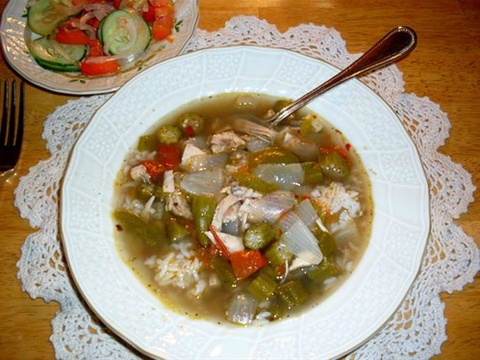 ), grains, beans, staples, meat and poultry and more. Shopping online. There are two great discount sites online that are real money-savers, especially when coupons are offered. They also offer free shipping when you purchase a certain amount or sometimes free shipping is a coupon offer. These are two of my favorites: www.vitacost.com and www.swansonsvitamins.com No membership is required. Buy-Out stores. There are a couple of these in our area. They buy out cases from other stores that are going out of business or the merchandise was damaged slightly and can still be resold. I'm not fond of these stores, but some like them. They carry mostly packaged foods, which I tend to stay away from. I purchase mostly organic, and I find they seldom have any. Also, be sure to watch the expiration dates, overly-dented cans, ingredients, etc. Expiration dates on canned foods are not always accurate. Some canned goods last well beyond their expiration date. If the dent is not on the edges or center line where it is sealed, the dented can might still be good. Produce markets and co-ops. 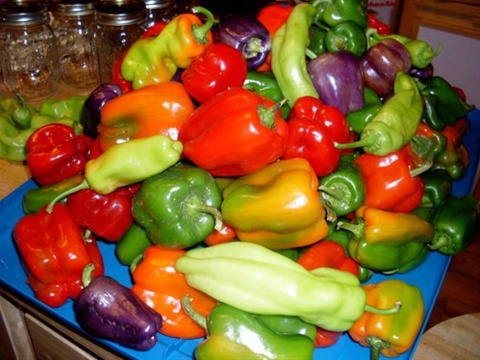 We have several "locally grown" stands/markets in our area. This is a good way to purchase produce. However, the best way is to grow it yourself. Many times I have found folks who grow a lot of one crop (organically) and are willing to sell their product in bulk. That's a good time to consider buying and canning. Roadside stands. Another thing to be watchful of is folks who go to the big city, buy quantities of corporate-farmed produce and bring it back to sell at their stands. This produce is usually not organically grown and a high amount of pesticides and chemical fertilizers have been used. For me, the key is to check out the tomatoes. Home grown tomatoes are not generally all the same size, same color and never rot. In the past, I have actually kept store-bought tomatoes in a basket for months just to see what they would do. One of them finally started sprouting from the inside and the tomato popped open revealing oodles of tiny little tomato sprouts. Not good! Buying grains, beans and staples in bulk. There are several places that sell these items exclusively. They can be shipped (pricy) or picked up at a warehouse. Sometimes items, some dehydrated or freeze-dried, come in #10 cans packed in cardboard boxes. If you plan to store these, be sure you remember that mice and insects love cardboard. Take precautions. They won't be able to chew through the can (I hope not), but they will make a mess. Also, bulk foods may come in plastic bags fitted into paper sacks like animal feed. These are highly susceptible to rodent and insect infestation. Consider putting the contents in 5-6 gallon food grade buckets with tight fitting lids and maybe oxygen absorbers for long-term storage. If your product already comes in these buckets, you can purchase Gamma Seal lids, which makes for easier removal of the product. You will need a lid lifter to open and close the original bucket lid. Meat and poultry butcher stores. I highly recommend purchasing your meat and poultry from local folks. In my area, there are four grass-fed butcher shops. Grass-fed or organic is the only way to go with meat and poultry. Be sure to ask the butcher if he or she finishes their product with corn. If corn isn't organic, it probably isn't healthy. It must be non-GMO. I prefer to buy from those who are not feeding corn at all and allow the animal to graze naturally. Cattle in the wild do not eat corn. Man introduced this into their diets to add fat to the meat. Many of these shops also carry grass-fed raw milk, cheese, yogurt and more. Often you can save money buying a whole or half cow and sometimes a case of chickens. If you have the property, consider raising the animals yourself. Learning to "harvest" is not that difficult. I have already touched on the idea of purchasing in #10 cans or 5-6 gallon food-grade buckets under Buying Grains... You can also do your own canning and possibly save money IF you have access to good quality items to can. Canned products, if stored correctly, will last much longer than the books recommend. However, you must follow the proper procedure for safe canning. Ball Canning books are an excellent resource. All food storage of cans, boxes, and buckets should be in a cool, dark location. Do not place your items on the ground (earth). For some reason, possibly because the earth holds moisture, these items will absorb the humidity into them and cause spoilage. If the storage area has a concrete floor, I put pallets down first. Also, try to store your food where the temperature will be nearly the same year-round. If freezing or refrigerating items, remember the food vacuum packer. I have a Food Saver, the one for hunters. There are many on the market, but my recommendation is--don't buy a cheaper one. If you purchase Food Saver, you can request to be on their mailing list for special offers (BOGOs) for their rolls of you-cut-the-size bags. These bags are reuseable, so I cut them a little larger in the beginning. When they get too small, you can use them to package seeds, matches for camping or other small items. This is especially nice for backpack things for camping or hiking. I don't vacuum pack seeds--I just seal the bag with the sealer part of the machine. Be sure to add labels with ingredients and a packing date to each bag. You will forget--believe me--especially when the item has been stored or a year. WHAT IF THERE IS "NO FOOD?" And, that is a very imporant question. There are several things that can happen to keep folks from obtaining food supplies. That is why it is crucial to plan ahead. In my short life, I have been through hurricanes, tornadoes, fires, floods, ice storms, blizzards and earthquakes. Do you have any idea of what happens when there is no food in the grocery store? Have you ever witnessed empty shelves? I have. In many cases, there only needs to be a threat of a storm and folks rush out and buy everything they can get their hands on. What if there is a truck strike? What if the power goes out for an extended amount of time? What if, for whatever reason, you can't get to a store? So, whatcha gonna eat? Well, hopefully there was some planning going on before these things befall you and your family. Hopefully, you planted a nice spring/summer garden and a fall/winter one, too. Hopefully you considered planting storable produce like winter squash, which stores for months in a cool location. And maybe you purchased buckets or cans of foods or did some home canning. But, if not... There is still another alternative. It is called foraging for your food. Do you know that many of the "weeds" in your yard or on your property are edible, as long as you didn't foolishly spray poison on them? Do you know how to identify these edible AND medicinal plants? Do you know which ones are poisonous? If you don't have any in your yard, would you know where to find them? Have you considered transplanting from one location to your yard? Do you own a book that gives you this information? Please, don't rely on the internet. Please don't just go eating stuff in your yard. BUT, what if there is no electricity to get on the net? When you viewed the slideshow above, you saw a salad, a pretty one. This is a wild "weed" salad. 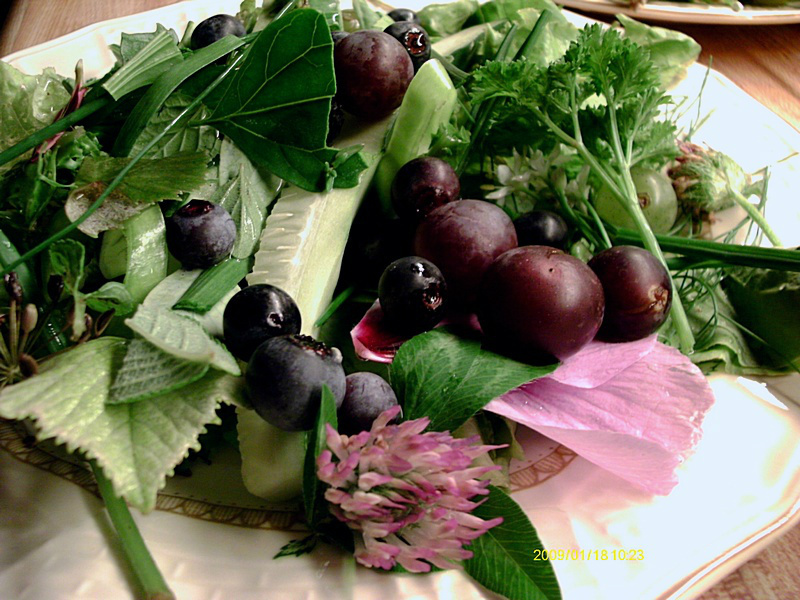 Everything from my yard that is edible, which in some cases I purposely planted, was used in this salad. Would you know what to eat from your property? Here is probably the most helpful book I have seen on this subject: Free Food and Medicine Worldwide - Edible Plant Guide by Markus Rothkranz. There is also a DVD set by the same name, which is really helpful, but if you can only afford one or the other, go with the book. No electricity, no information. So, you live in the city? Well, consider moving. I can't say more. After surviving one major hurricane in 1992, I learned that people in those circumstances sort of lose it. There was no food and no way to obtain any because the roads were a mess with chunks of broken glass, boards with nails and other hazardous materials. By the way, the grocery stores were destroyed. Folks were running around with guns threatening each other and stealing from folks at gunpoint. And, the police were so afraid that they would stay in their squad cars and wouldn't get out. Forget protection. So, you now have a plan, right? Please be sure you know what to do with what you have. Don't buy something, like organic wheat berries, AND NOT HAVE A GRAIN MILL to grind the grain. Or, you bought the book, but left it on the shelf. Practice now. Whether you are cooking on the hearth, a woodstove or fire pit, it is a good idea to know how and what to do before you really have to use them long term. It is a great idea to know where those healthy weeds are. This can be a family project, homeschool classes or just a fun way to learn something new. But, don't procrastinate. Not a very good idea. AND, while you are at it... Have you considered water? City water is highly contaminated with chemicals and more. A good topic to research. Think: What am I drinking? bathing in? brushing my teeth with? This is a serious thing to consider. I recommend a water filtration system like a whole-house system that doesn't need electricity or a Big Berkey, an AquaRain or a distiller like Waterwise. Many of these companies also sell shower and sink filters. Without pure, clean water, you and your loved ones could become sick--very sick. This is not a scare tactic. Your body was not made to drink or bathe in poison everyday, several times a day. SODAS! YIKES! I haven't had one of those in decades. I know they used to contain incredible amounts of sugar and chemical flavorings. Now, from what I have read on cans and bottles, this sugar has been replaced with HFCS or high fructose corn syrup, which is not corn syrup at all. And, even if it was, it probably would have been made from GMO corn. HFCS is dangerous. The best way to be in the know is to do a search for the chemical or additive name and add the words "dangers of." By the way, as far as I know, ALL artificial sweeteners are not fit for human or animal consumption. FRUIT JUICE. Most canned or bottled juices probably contain one or more of the following: chemicals, additives (like colorings and flavorings), sugars and usually plenty of water. The pulp has been removed. It is really better and healthier to make juices yourself. Fruit juice acts in the body like sugar. It has been known to rot children's teeth. A nice glass of pure, clean water is much better for your health! Many teach that in Mark 7:19 Yeshua declared all food as clean. We agree that all "food" is clean? The real question to be answered is what Messiah was really saying. What is the true context of this verse? Did Yeshua really declare all things clean? I HAVE HUNDREDS OF RECIPES! Literally, I have 100s of recipes from years of cooking and many that were handed down to me by family members. Those have been updated and many of the ingredients changed to make them healthy. My parents and grandparents were the generation that was introduced to processed foods, margarine, shortening, cheap cooking oils, processed meats homogenized/pasteurized dairy, fake cheese, spam, fluoridated and chlorinated water and so on. I've wondered for years if this, plus all the vaccines, weren't the culprit in causing so much sickness in the "baby-boomer" generation. I believe the answer is obvious. I am not able to put all of my recipes up on this site. Not only is it too much work for me, but there are already sooooo many sites out there with 1,000s of recipes, both healthy and no so healthy. Therefore, if you have a special recipe in mind, please contact me. If I have what you are looking for, I will send it along. 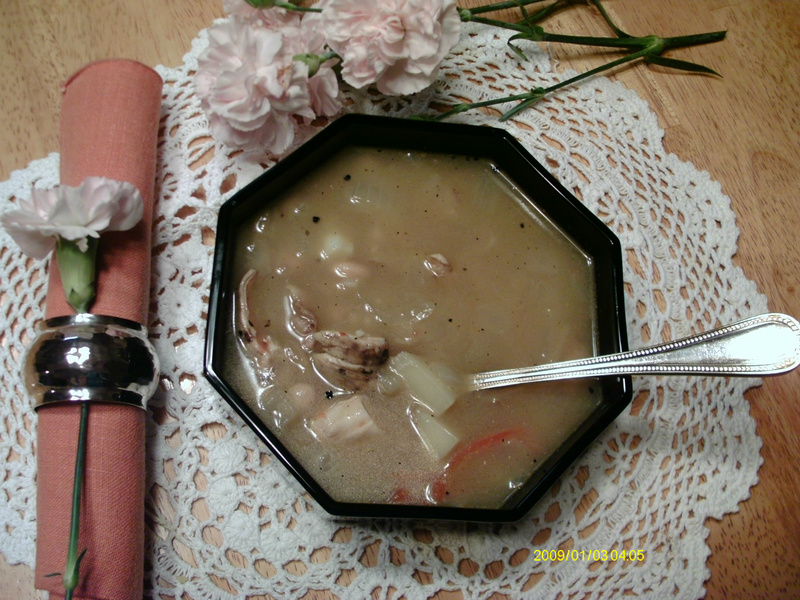 Just to let you know, I cook kosher (Biblical not rabbinical), many ethnic dishes, Biblical feast recipes, etc. I use honey, pure stevia, Sucanat for sweeteners, best quality olive oil and coconut oil, no white flour, no white rice, etc. I try my best to keep my diet healthy. You will need all the vegetables you like to eat. 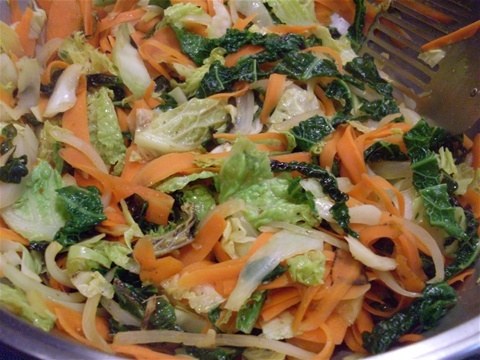 Examples: Greens, cabbage, sliced Brussels sprouts, carrots, celery, onions and/or scallions (green onions), peppers, pieces of broccoli, mushrooms, minced garlic, etc. Cut or slice these in bite-sized pieces. Add a little good quality olive oil to a wok or large skillet and turn the heat to high. When the oil sizzles as a piece of carrot or other veggie is added, drop in the rest of your vegetables and stir them quickly so they won't stick. You might have to lower the temperature a bit. You can add a little good quality salt (not table salt) and if you like spicy, a few flakes of crushed red pepper. This can be served over cooked or fried rice or eaten simply as it is with meat or poultry. Combine all ingredients except chips and nuts, in a mixer or food processor. Mix thoroughly. Add nuts & chips. Gently fold in. OPTION: Sprinkle remaining chips on top of brownies. When they have melted, spread thinly over the top with a spatula. If you desire, refrigerate to harden chocolate. 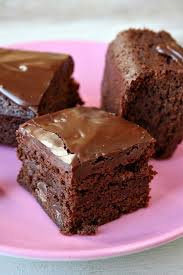 For BLOND BROWNIES just leave out the cocoa powder. The one thing I have heard from ladies for years about making homemade bread is that they DON'T HAVE TIME. I started getting serious about making bread from freshly-ground wheat back in the late 70s and early 80s. I didn't have much time either. But, that was just about the time the DAK bread machine was introduced. I think I was one of the first in the nation to purchase one of these because that introductory offer hit the table, I made a phone call. A few days later I had the "R2D2" of bread machines and a wonderful recipe book. A bread machine is a wonderfully easy way to make bread. However, I do not recommend baking in the machine. My reasons are that the crust isn't as nice as when baked in the regular oven and most bread machine pans are coated with a non-stick something. So, I use it to mix the bread, let it rise and mix again. Then, I remove the dough and form it into whatever bread product I desire. My time spent for a simple loaf of bread is about 10 minutes. The machine does all the work. If I want rolls, pizza dough, stuffed sweet breads, challah, etc., I have to add a few more minutes. The over-all time I allow for making bread is about 3 hours. Most of this is in the machine or oven rising and baking. Here is my trusty recipe for basic bread. You might have to adjust this recipe for your particular machine. The recipe can also be used the old-fashioned way. It makes one-2 lb. loaf or several rolls, 1 large pizza dough, etc. Additional flour in case your dough it too sticky/wet and for rolling out the dough. Set your machine for manual operation. At the end of the cycle, remove the dough and form into your desired bread product. Place on/in a greased pan and allow to rise in a room-temperature oven for 35 minutes or until doubled in size. Do not remove the bread, but turn the oven on to 350 degrees and bake for 30-35 minutes. Wait at least 15 minutes before cutting. Wrap room-temperature bread for storage. Refrigerate after the first day. You can also freeze bread after cooling. This recipe can be adjust to your desired bread item. For challah, add more honey and maybe a bit of cinnamon. 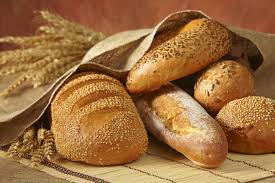 If you have any questions about other types of breads, please contact me. CAUTION: Due to the high heat of the caramel sauce, it is not recommended that young children make this recipe. 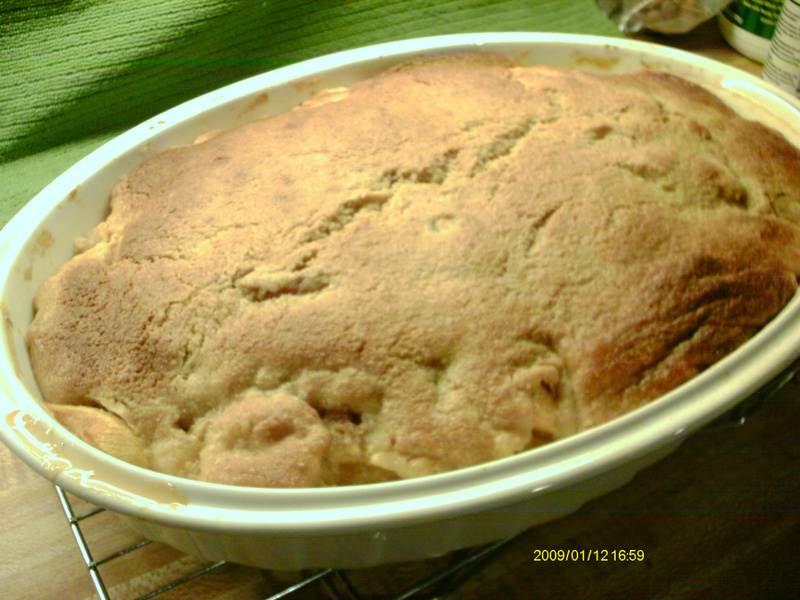 Original source of recipe: NW NJ BEEKEEPERS ASSOCIATION, https://www.youtube.com/watch?v=o8O7S6SxEF8 This is a HOW-TO for the recipe below. To the pot, add honey and cream. Stir over high heat until mixture begins to boil, then lower heat to medium. Continue to stir constantly until thermometer registers 245 degrees. Remove pot from burner. CAREFULLY pour the hot caramel sauce into the parchment-covered pan. If desired, sprinkle with salt. Allow to cool at room temperature for 1 hour. Cool in the refrigerator for another hour. Remove the parchment from the pan and place it on a cutting board. Cut caramel slab into squares with a sharp knife. 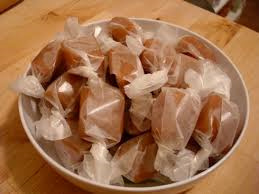 Individual caramels may be wrapped in waxed paper. Store in the refrigerator.